Details of Vodafone's first own-brand 4G smartphone have emerged. The handset's existence was revealed by a Federal Communication Commission (FCC) filing. According to those documents, the phone will be called the Vodafone Smart 4G. It is unlikely that Vodafone will be selling the handset in the US, especially following the divestment of its stake in Verizon. However, all handsets that may be used in the US need to pass its regulations. The filing also revealed that the device is a Yulong Coolpad 8860. No details were revealed in the FCC report, but it may be that the 8860 is a rebadged Coolpad Quattro. That phone comes with a 4-inch WVGA 480x800 pixel display, a 1GHz processor, 512MB on-board memory, expandable up to 32GB via microSD. 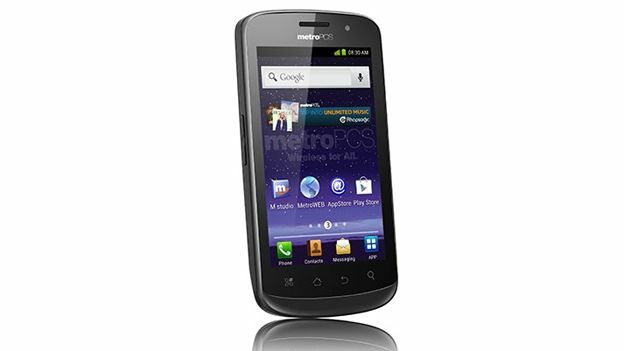 It also has a 3.2 megapixel camera and a 0.3 megapixel forward facing camera. It also supports the same bands and Bluetooth standards that the 8860 does. The Coolpad 8860 passed its Bluetooth certification in July. Those specs support the position that the Smart 4G will be a barebones 4G smartphone designed to provide a white label option to price-conscious consumers.